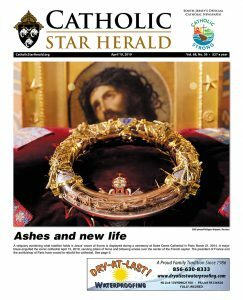 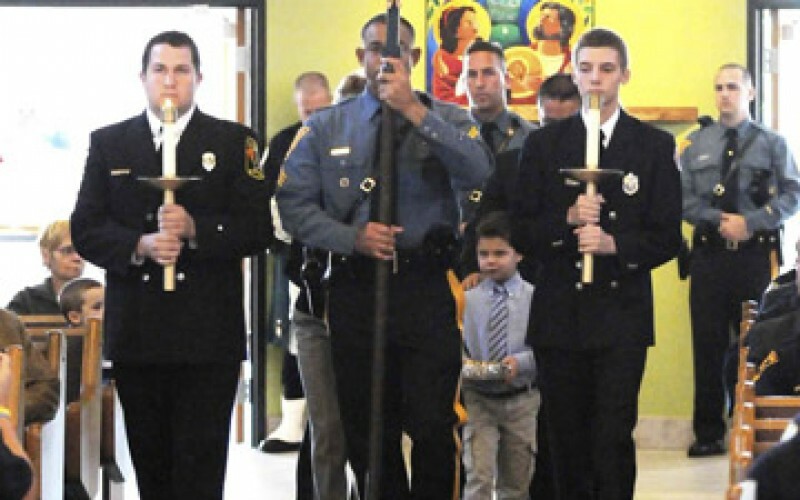 Matthew Bonsall, 5, helps bring the offertory gifts to the altar during the ninth annual Blue Mass at Our Lady of Hope Parish, Blackwood, on Oct. 7. 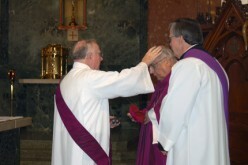 Photo below: Bishop Joseph A. Galante accepts the gift from Matthew. 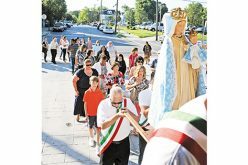 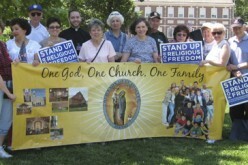 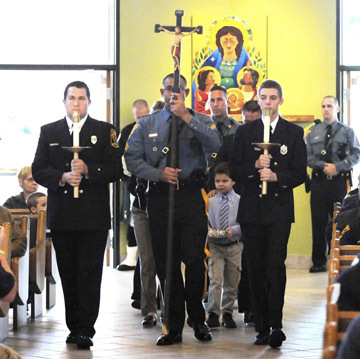 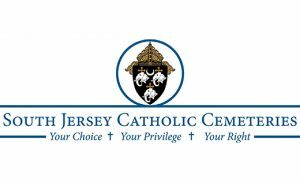 The Blue Mass celebrates the dedication and courage of law enforcement officers, fire personnel, and EMS personnel who live and work in the Camden Diocese which includes Atlantic, Camden, Cape May, Gloucester, Cumberland and Salem counties.